The Grove - 10A DC Current Sensor (ACS725) is a high precision DC current sensor based on ACS725. The Allegro™ ACS725 current sensor IC is an economical and precise solution DC current sensing in industrial, automotive, commercial, and communications systems. 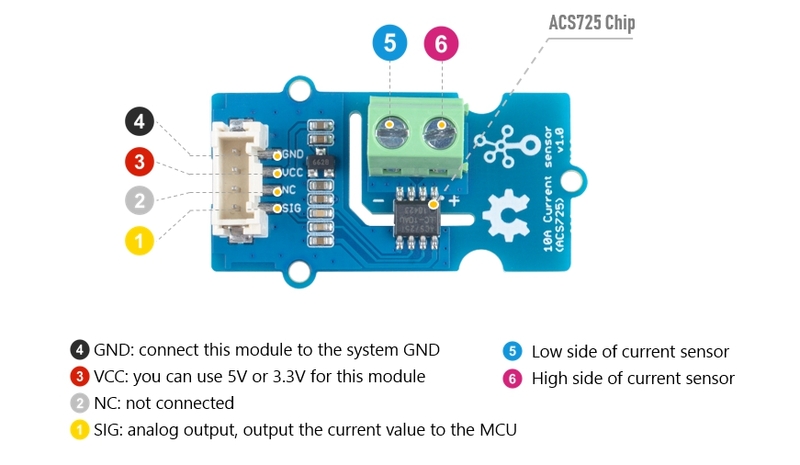 The Grove - 10A DC Current Sensor (ACS725) can measure the DC current up to 10A and has a base sensitivity of 264mV/A.